You’ve made the investment on your scuba equipment (your life support equipment!) Why wouldn’t you spend the time to clean and maintain your gear properly? Properly caring for and maintaining your dive equipment will not only prolong the life of your equipment but it’s also one of the best insurance policies for staying safe while diving. Basic protocol involves rinsing off all of your gear with fresh water and then putting the gear in a safe place where it can dry off thoroughly prior to packing it away. Never leave your equipment in direct sunlight over long periods because sunlight will cause materials to crack, fade, and degrade, and this includes rubber and neoprene. Treat these items carefully so they aren't crushed by heavier gear. It's also a good idea to keep this equipment (as well as the rest of your gear) well organized to minimize the risk of it getting stepped on or kicked overboard. After a dive to avoid mildew growth, rinse your mask, fins and snorkel in warm, fresh water and allow them to drip dry completely before packing them away. 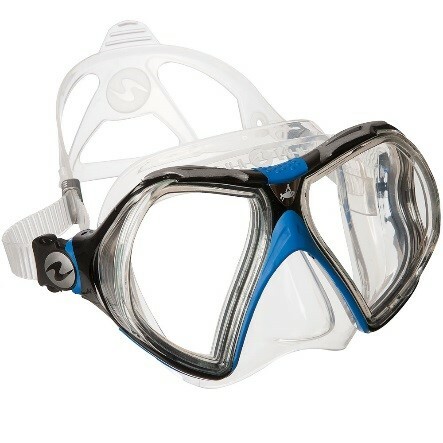 Keep your mask in a hardcover box to avoid damage to the lenses. Store in a dry, cool place as this prevents cracking and warping. Never store fins by standing them on their tips because this causes damage. It’s better to place them flat. Neoprene can be especially susceptible to UV damage, so take extra care to keep your wetsuit and other neoprene items in the shade. After a dive use fresh water and clean it with soap products designed for specifically for neoprene to make sure the wetsuit doesn’t become a stinky item (wetsuit shampoo). There is an inside too so make sure to wash and rinse the inside and outside of your wetsuit, hood, gloves and booties. Never ever pack any neoprene gear away when it’s not completely dry. If you fail to let the materials dry all the way through, bacteria and mildew will grow, and the quality of the gear will inevitably degrade. The ideal way to properly store a wetsuit would be to hang it up on a wetsuit hanger. Avoid using wire hangers that will cause creases and marks in the wetsuit. Check the manufacturer's recommendations on wetsuit zipper maintenance; some require periodic lubrication. Your regulator assembly needs to be thoroughly rinsed off in fresh water after any dive. Just be certain that you don’t get any water into the gear’s first stage. The internal parts are vulnerable to damage when they’re exposed to water and moisture. Prior to rinsing off your regulator, replace the dust cap, securely fastening it on. Of course, make sure the cap is dry first. Rather than putting the first stage in fresh water to let it soak, just rinse it off completely in the sink. This will prevent water from seeping past its dust cap. Avoid pressing the purge button on the primary second stage or the octopus during the process of washing the regulator. This will let water into the first stage, which you don’t want. Once your regulator assembly is adequately rinsed shake off any excess water and set it out to dry. After the regulator assembly is completely dry, store it in a regulator bag to keep dust, debris and pests away from your vital breathing equipment. Additional to maintaining your regulator, follow the manufacturer's recommendations on how often to have your regulators serviced by a professional technician. When soaking your BC after diving, press down on the inflate and deflate buttons while holding the BC underwater to work out any trapped salt, sand or debris that might be inside. Orally inflate the jacket and, while it's submerged pull on each of the dump valves to work out any debris that might be trapped around them. Don’t forget: your BC has an inside too. Fill the BC with water and orally inflate it to help the water swoosh around inside. You can drain it through the mouthpiece by holding it upside down, squeezing it and depressing the deflator. Repeat this action until you’ve rid your BC of any salty residue. Hang the BC on an appropriately sturdy hanger and pull the lowest dump valve (or hold the BC upside down and press the deflate button) to allow all the water to escape. Repeat until you are confident that little or no water remains inside, and then partially inflate the jacket for storage to prevent the inside pieces from sticking together. Make sure you hang it in a dry, cool place. By giving it a good rinse and flush with fresh water after each dive, and making sure it’s serviced annually, will keep your Buoyancy Compensator working exactly as it should for many years. 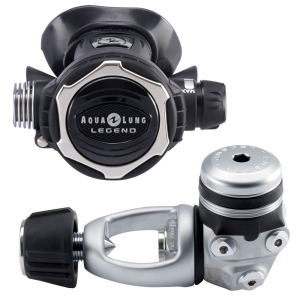 Your diving accessories are just as important as the rest of your gear, and they require their level of care. For example, you should rinse and dry all of your knives completely before applying a coat of silicone grease onto each blade prior to storing it as this will prevent rust formation. To cleanse your dive computer, press all of its buttons while at the same time holding the unit underwater, doing so will flush all salt from the unit. Remember to check the battery icon on your dive computer, and replace the battery as needed. When it comes to other gear, like your compass, octopus attachments, whistle, and signal marker buoy, simply rinse these off with fresh water. It’s important that you don’t forget about your scuba tank during your post-dive cleaning routine. It, too, will need to be thoroughly rinsed using fresh water. The purpose of doing this is to prevent any salt from building up in the cylinder and causing corrosion. This process also gets rid of any sand and grit that has got stuck on the tank valve, as it can eventually make it harder to turn the air off and on. Don’t store your cylinder when it’s either full or empty. The lack of pressure while it’s empty will make it easy for contamination to occur. And if the cylinder is stored when full, it can eventually lead to cracks. Also, store your cylinder in a secure upright position or lying down horizontally. Remember to have your cylinder visually inspected every year and hydrostatically tested every five years. For more information on how to properly maintain your gear, along with tips on how to manage minor equipment adjustments consider Just Add Water's Equipment Techniques class. The time taken to properly look after your scuba equipment will maintain its quality and increase its lifespan. Remember to always check and test your scuba gear before every dive.